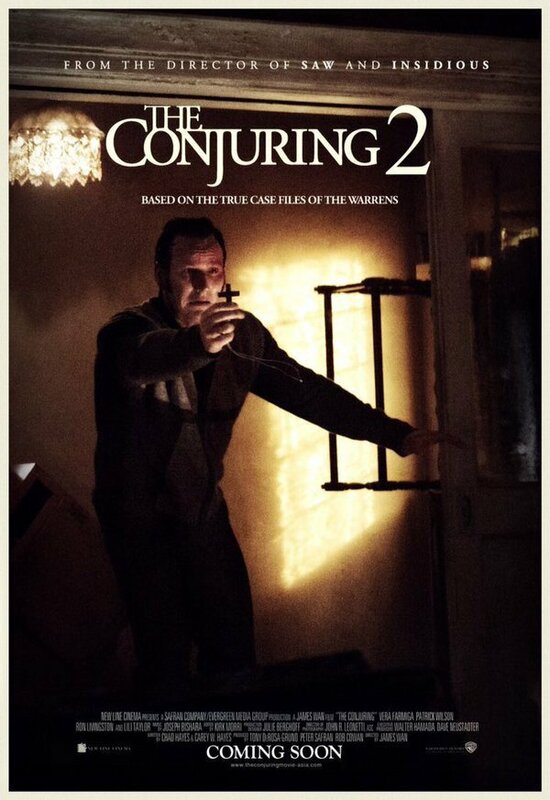 The Conjuring 2 relies heavily on low-budget creepiness. It is based on the allegedly true story of a haunting in England, in which a house started to misbehave and a spirit occasionally channelled itself through a young girl. This scenario is used not so much to preach important truths about the afterlife, but to creep people out and occasionally make them jump in their seats. The film is skillfull enough with its cinematography and setting up a mood that it mostly gets away with its barrage of cliché’s. There are some tense scenes that work despite you knowing that you are being manipulated. And there are some clever visual finds, such as a sequence that plays around with shadows and a creepy painting. At other times the film awkwardly balances between scary and silly, such as when the main psychic is firing an invisible shotgun in a vision that is supposed to be tragic. The film is further undercut by cheesy dialogue and some painfully sincere but not quite convincing performances. It feels more safe than it should, especially considering how incredibly long the film takes to tell its ultimately simple story. 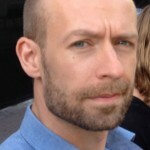 After all the build-up, the pay-off seems rushed and is a case of sloppy writing. The Evil hands the Ghostbusters the tools to its defeat for no clear reason and an important piece of information comes from some fiddling around with sound recordings in a way that seems cool in theory but lacks logic. It’s almost as if the ghost was being cryptic just because it knew it would make the investigators seem smart if they solved the puzzle. 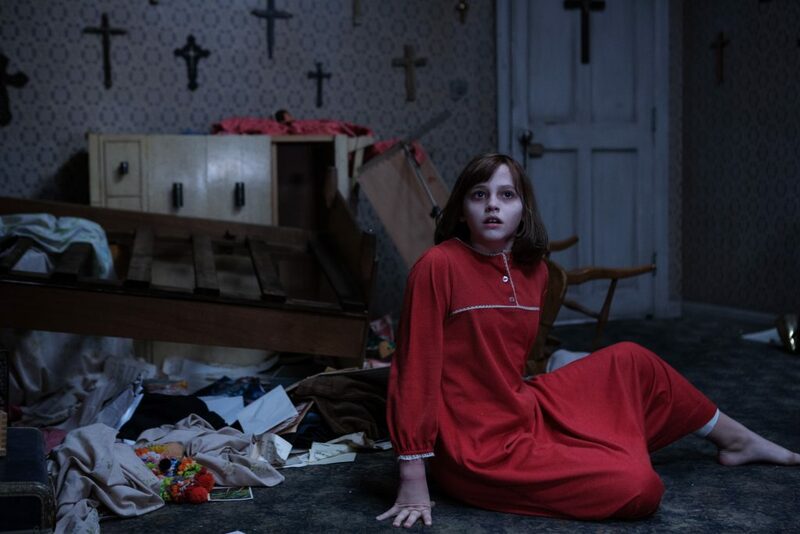 The Conjuring 2 is entertaining but very forgettable. What it does has been done before many times and has been done better. The haunting the story is based on turned out to – of course – be a hoax. You can see why the writers decided not to go with that as an ending. But despite there being and actual haunting in the retelling, it still leaves you with a feeling of anti-climax. 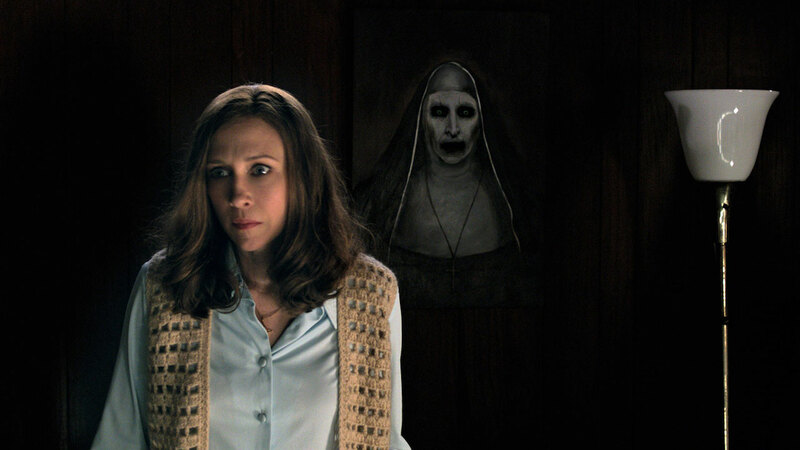 Frances O'Connor haunting horror James Wan Patrick Wilson psychic The Conjuring 2 Vera Farmiga Warner Bros.